The fourth Public Lecture series, based on the theme “From Science to Life, from Life to Science”, started on Wednesday April 12, with Associate Professor Bora Garipcan’s seminar titled “How do biomaterials change our lives?” The seminar was held at Akatlar Cultural center at 7:00 pm and was free of charge. Garipcan talked about biomaterials that were produced to assist the functioning of the body and gave information about the history of biomaterials since antiquity, their types, areas of usage and the kind of biomaterials we will encounter in the future. The lectures continued on Wednesday, April 26, 2017 with Associate Professor Rana Sanyal’s seminar titled “What weapons do we have in the struggle against cancer?” Sanyal provided insight into a host of questions and shared her own experiences on the topic: What happens during the period from the discovery of a drug until it becomes available in pharmacies? What kinds of innovations have been achieved in chemotherapy drugs in the last two years? What are some of the problems of these drugs? How much has been achieved in the fight against cancer? Can we produce new drugs, and why haven’t/couldn’t we done so yet? Prof. Neş’e Bilgin of the Department of Molecular Biology and Genetics made a presentation titled “Things a microbe can do” on Monday, May 8. Her presentation covered the following subtitles: Why are these invisible single-cell organisms so important for life on our planet? Do you know that there are more microbes than the cells in our bodies? What are the positive and negative effects of those microbes on our health? Do we get sicker as we try to get better with antibiotics? Is it possible to lose weight with microbes? How does biotechnology build factories out of these microbes? Cheap Labor: Eco-friendly microbes. The third series of lectures ended on Wednesday, May 17, with a seminar titled “Algae in the food-environment-energy connection and the roles they play in our daily lives” by Assistant Professor Berat Haznedaroğlu. Haznedaroğlu presented an introduction to the world of algae, a source of nutrition for the Mayans and Aztecs and super foods of today, focusing on the use of algae as biofuels, food, medicine and other uses in our daily lives. The second series of lectures held in Winter 2016 were organized with the cooperation of Boğaziçi University Lifelong Learning Center (BÜYEM) and Beşiktaş Municipality. Focusing on the theme “Knowing Uncertainty/ the Science of Uncertainty”, the program included “The Effects of Climate Change on Turkey and the world” (Prof. Levent Kurnaz), “Modeling Uncertainty, Predictability, and Chaos” (Prof. Yağmur Denizhan), “What is Happening at CERN?” (Prof. Erhan Gülmez) and “Systems Approach: What is it, what is it used for, and how is it applied? (Prof. Yaman Barlas). Between January 17 to March 28, 2017, a third series of the Public Lectures were held at the Yaşar Kemal Cultural Center with the support of Sarıyer Municipality. The lecture program consisted of Professor Cem Say’s seminar titled “The limits of human and mechanic brains”, Mine Nakipoğlu’s lecture titled “Language, the brain, and evolution”, İnci Ayhan’s “Perception of Time”, and Elif A. Duman’s “The effects of stress on the nervous system”. 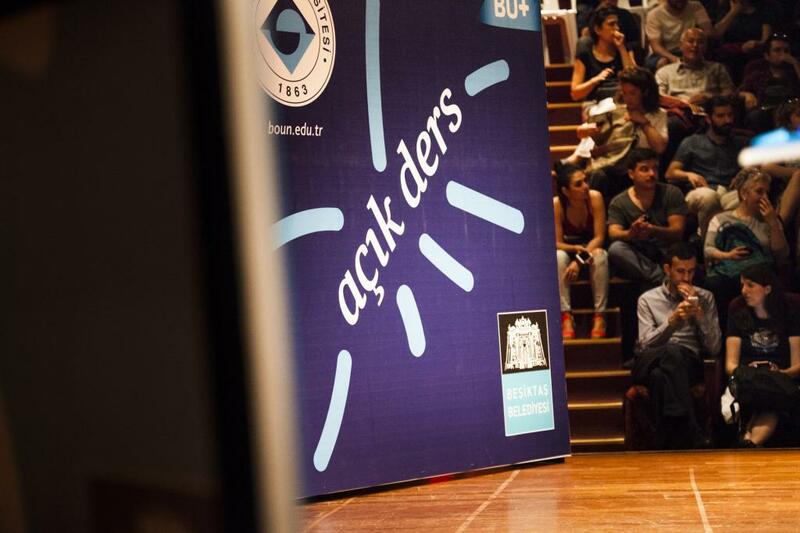 The first and second series of the Public Lectures were held with the cooperation of Beşiktaş Municipality in Spring 2016 and Winter 2016, respectively. Sarıyer Municipality hosted the third series of lectures in the 2017 Winter term, and Beşiktaş Municipality in the 2017 Spring term. 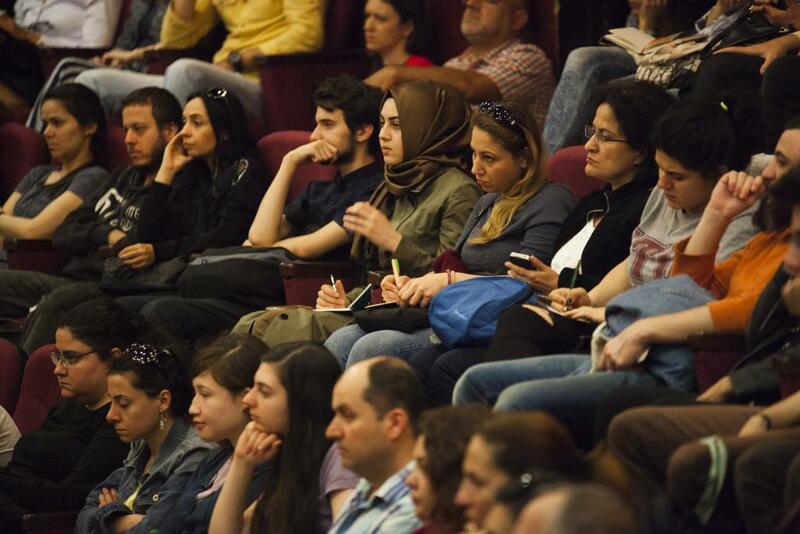 Attendance at the seminars held in Akatlar and Yaşar Kemal Cultural Centers has been free of charge.